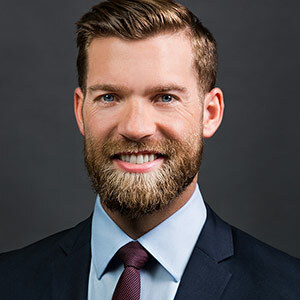 Mr. Witters has over four years of professional experience in the construction industry, part of which he served in project management and field engineering roles. Mr. Witters has provided expertise on a variety of projects involving damages and delay claims. His consulting experience includes performing schedule delay analysis, project performance analysis, data management and analysis, and litigation support. Mr. Witters performs critical path analyses for as-planned and as-built schedules to delineate causes of delay. He is proficient in scheduling software such as Primavera P3 and P6. He also provides clients with project schedule evaluation services. In addition, he provides in depth analyses of ongoing project compensable and non-compensable delays. He has performed detailed analyses of submitted Requests for Proposals, Requests for Equitable Adjustment, and tracked costs on several projects. Mr. Witters has performed analyses for damages and delay on large construction projects. He has experience in providing in-depth analyses of contract changes, projected versus actual labor demand, and construction activity work flow. He is experienced in handling, vetting, and processing change orders, project submittals, and requests for information, as well as, on-site daily project management which includes directing project progress meetings, on-site quality control, and field supervision. Mr. Witters managed contract change orders, requests for information, processed submittals, developed punch lists, and performed project closeout. He has monitored daily construction activities for quality control and generated monthly reports to apprise the owner of project progress.